A gifted reverse engineer, RON ALEXANDER is an otherwise amoral huckster who had the schematics for the GHOSTBUSTERS' proton equipment stolen so he could repurpose it and open a completing firm: THE GHOST SMASHERS. Ron's modifications caused ghosts to explode, which was spectacular to watch but was not a permanent solution; the PKE left behind eventually reformed as an unstoppable MEGASPOOK. For his part in its creation, Ron was put in jail -- only to be released when the Ghostbusters were abducted by an otherdimensional threat. 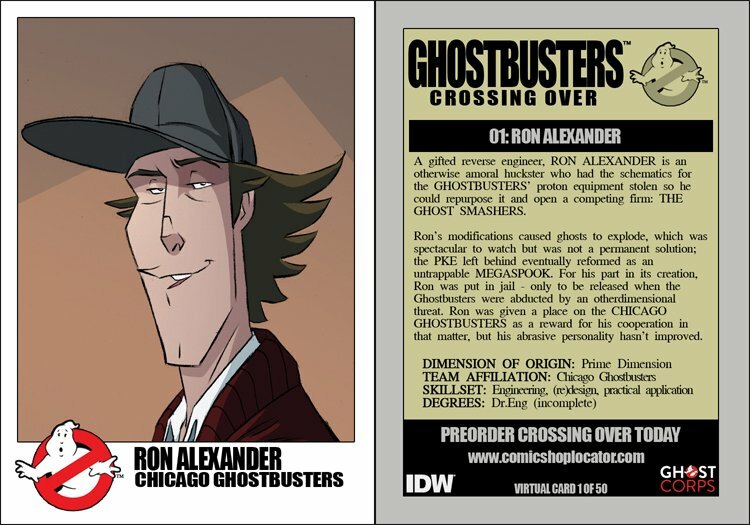 Ron was given a place on the CHICAGO GHOSTBUSTERS as a reward for his cooperation in that matter, but his abrasive personality hasn't improved.